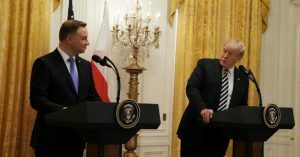 While the U.S. empire has long maintained a constellation of military bases and outposts across the planet as part of its strategy for global hegemony, the president of Poland exposed a new way foreign governments may try to exploit President Donald Trump’s narcissistic impulses for their own geopolitical gain. While the Post concluded that Duda’s “naming proposal appeared to be in jest”—whereas his seriousness was undoubtable regarding his claims that Poland is an “attractive” location for a base due to its “strategic location in Europe”—the prospect of Fort Trump triggered a storm of amused and alarmed responses across the internet. 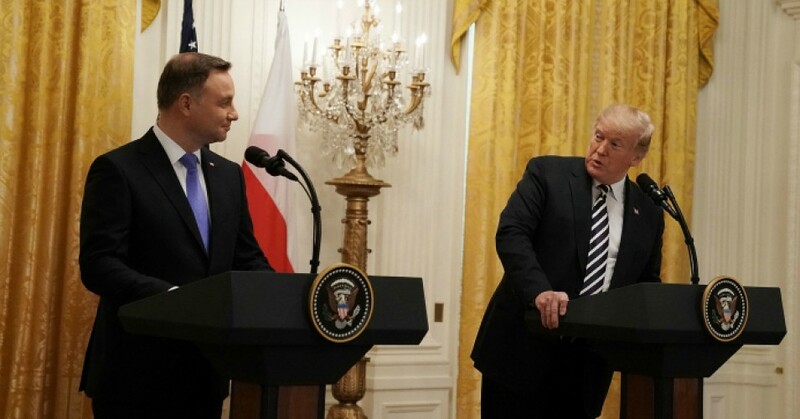 While Duda and his party have a history of aiming to please the president—even busing in supporters to ensure a cheering crowd for Trump’s “disturbing” speech in Poland last year—not everyone was convinced that Trump would succumb to such flattery. U.S. Defense Secretary James Mattis told reporters at the Pentagon on Tuesday that the military is studying options but no decisions have been made.